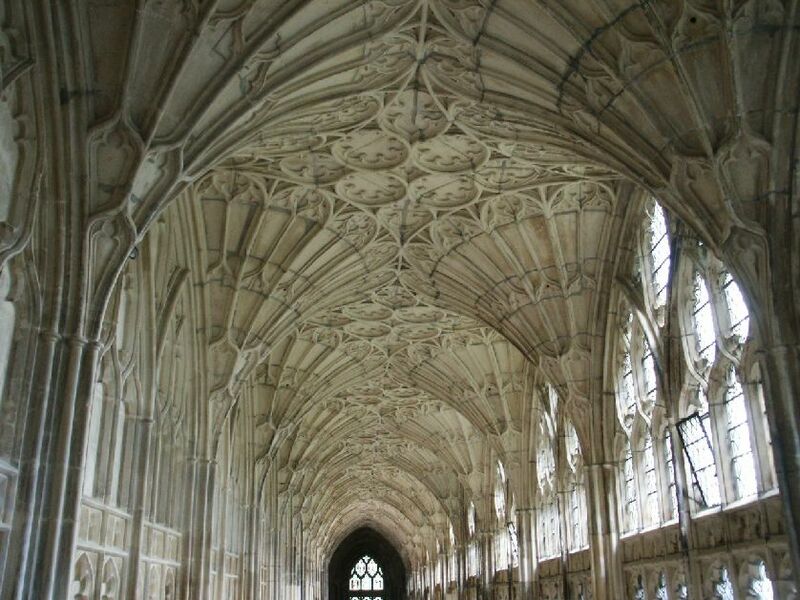 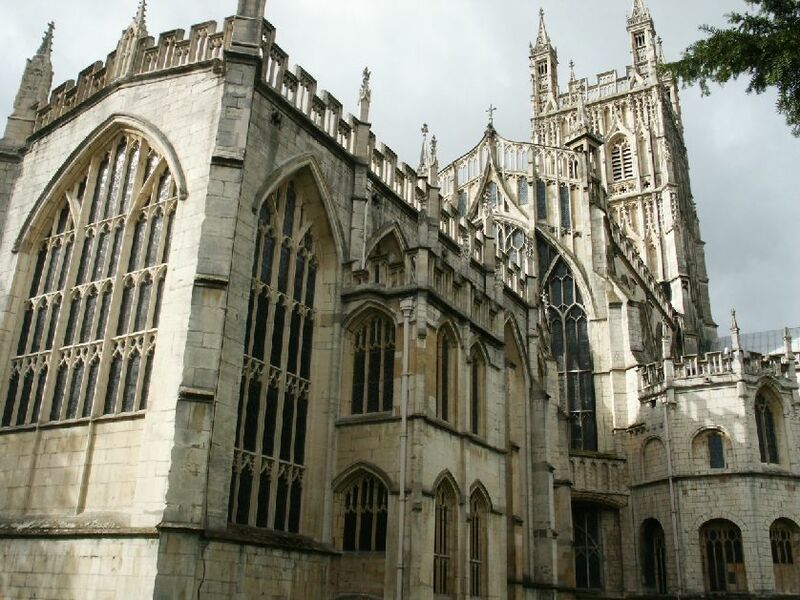 Gloucester cathedral was built mostly around the 1300's. 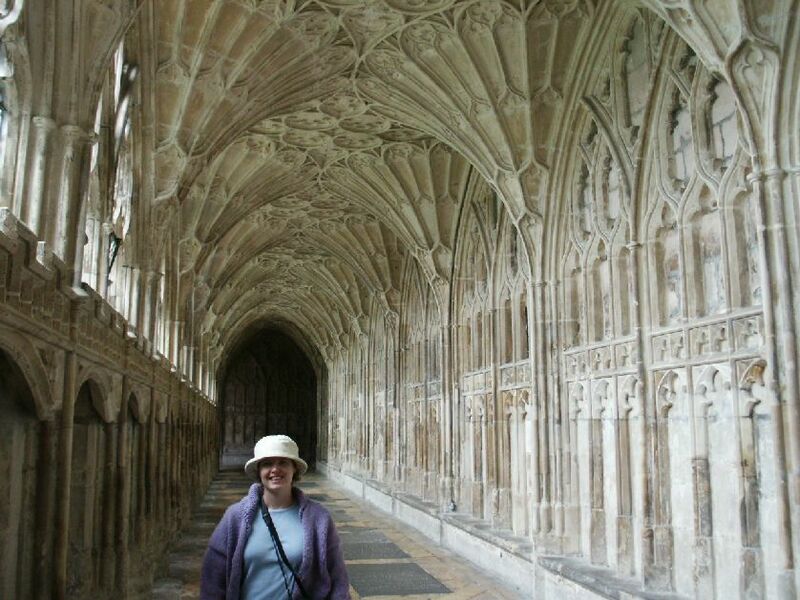 Gloucester Cathedral is said to have the most beautiful cloister in Britain, the cloister is the hallway which runs around the outside of the courtyard. 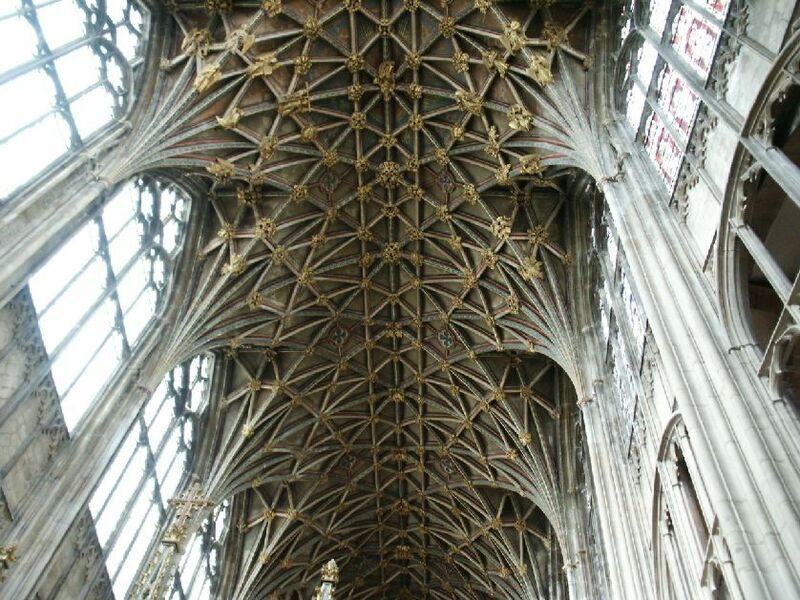 The ceiling of the cathedral. 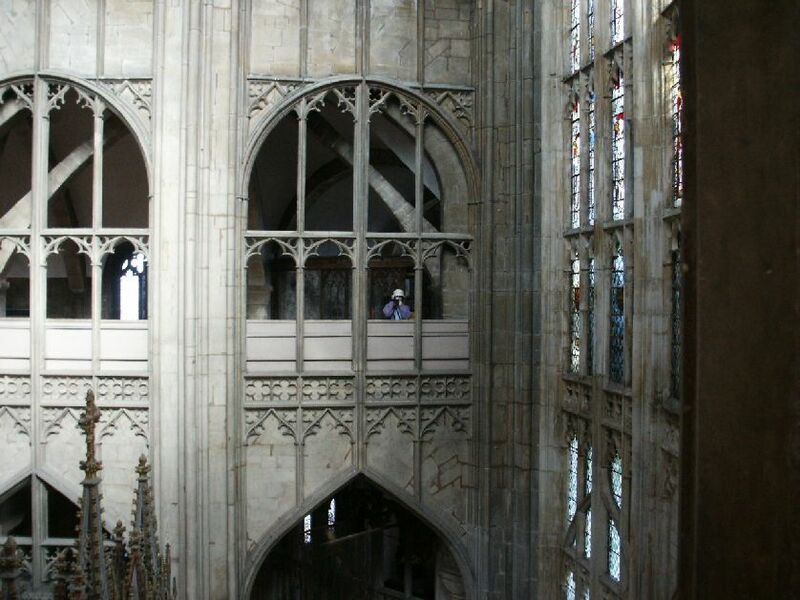 Sonya taking a picture of me on the other side of the nave. 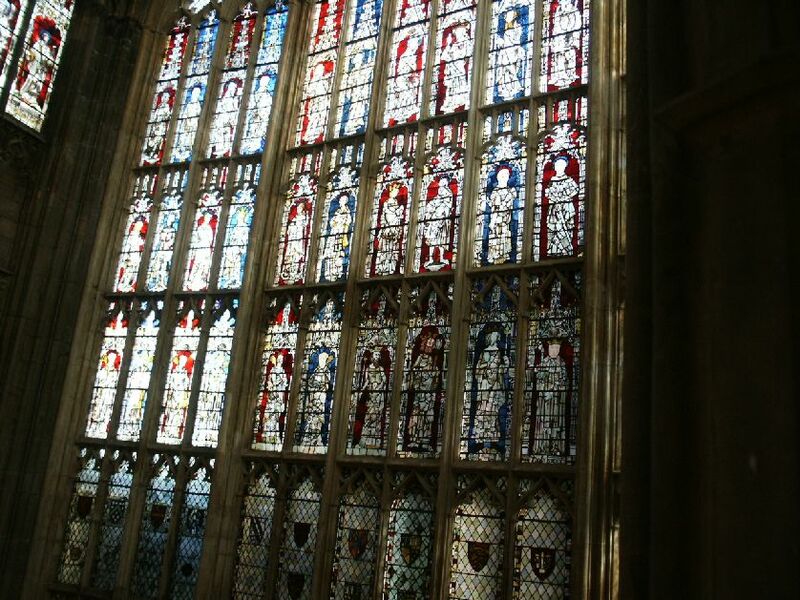 Gloucester cathedral has one of the largest medival windows in Britain.